If you think you may have a bed bug infestation, it’s best to diagnose and treat the issue early, before the infestation spreads. Treating a minor bed bug infestation may seem inconvenient, but it will be far less costly, and easier to take care of, than a widespread infestation. Many people don’t realize they have a bed bug problem until they wake up with bites on their arms and legs. But, an even better way to identify a possible infestation is to look for physical signs of bed bugs in your home. If you notice any of the signs listed below, it may be time to contact a pest control specialist. You notice rusty or reddish stains on your bed sheets or mattresses. These stains can occur when bed bugs are being crushed or sat on. Dark spots on your bedding or other fabric. This may be bed bug excrement and can bleed on the fabric. Live bed bugs crawling on your mattress. In the seams of your chairs and couches, or in between cushions. In the folds of curtains. 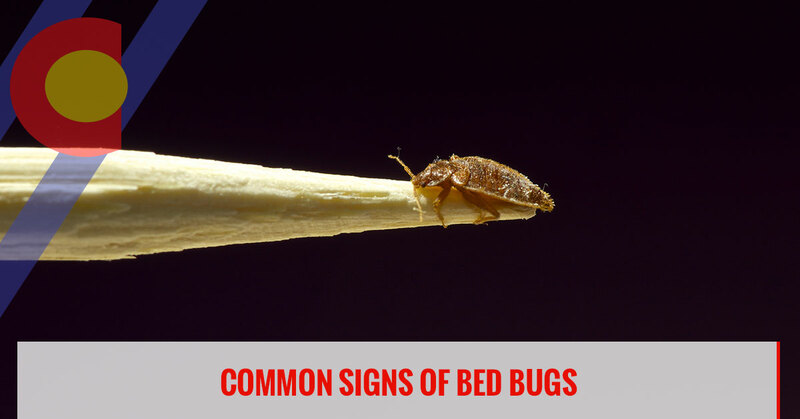 Getting a better understanding of how bed bugs live, eat, and reproduce will help you to distinguish the telltale signs of an infestation before they occur. If you start to notice signs of bed bugs in and around your Colorado home, be sure to contact the bed bug exterminators at Colorado Pest Management today! Bed bugs prefer to feed on humans, but they have also been known to feed on other mammals and birds. These pesky insects will readily travel anywhere from five to 20 feet from an established hiding place to feed on a host. They prefer to feed at night, but they will seek a host during daylight if they are hungry enough. Feeding can take anywhere from three to 12 minutes. Each bed bug has six life stages, and a bed bug needs at least one blood meal before the it can develop on to its next stage. To continue to mate and produce eggs, these insects must feed at least once every 14 days. Female bed bugs can lay anywhere between one and three eggs a day, and 200 to 500 eggs per lifetime. Remove all of the clutter from your home. This can make finding bed bugs easier. Wash and dry your bed linens on the hottest temperature your washing machine permits. Take the time to closely inspect any second-hand furniture before you bring it home. 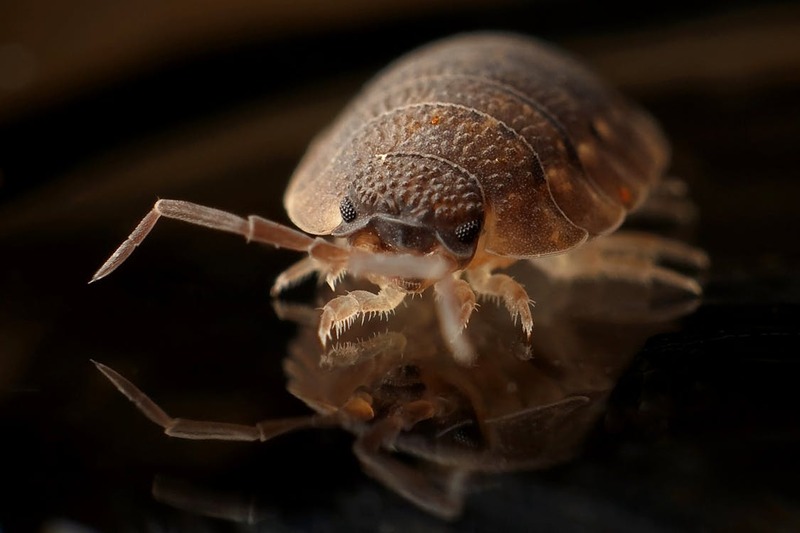 When searching for bed bugs in your home, keep an eye out for flat, reddish-brown, oval insects that are up to 4 or 5 millimeters long. While these have the vestiges of wings, known as wing pads, they do not fully develop into functional wings. Full-grown bed bugs tend to move relatively slow, and under certain conditions they have been known to survive up to a year without a meal. Adult bed bugs are about the size of an apple seed. If you see any of these reddish-brown insects in the cracks of your bed frame or in seams of your mattress, contact a pest control expert right away. As juvenile bed bugs grow, they shed their skin. If you notice case skins in your home, this may be a sign of infestation. If you start to notice bites on your skin, this may be a sign of bed bug activity. If you live in Englewood and you’re concerned that your home may be infested with bed bugs, contact the pest control specialists at Colorado Pest Management right away. When we visit your home, we’ll take the time to conduct a thorough inspection before recommending the best treatment solution for your space. In addition to our bed bug and pest control services, we also offer wildlife control and bird control throughout the Denver area.